Sometimes A question arises in our minds Which is the most Polluted City in the world lets discuss the factors! Air pollution through the chemical releasing and some gases like sulfur dioxide, carbon monoxide and nitrogen oxides etc are the main pollutants of air. Noise Pollution which is produced through industries, aircraft and road traffic etc. 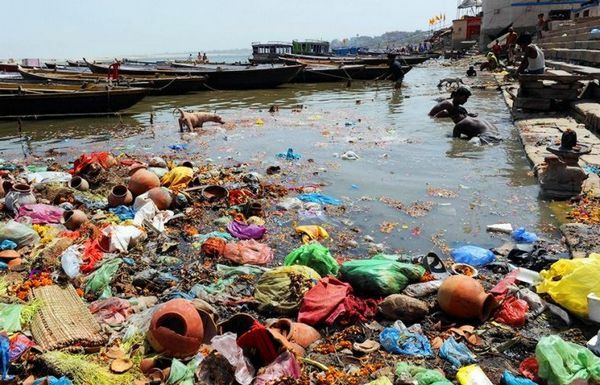 Water pollution is the another factor of pollution which occurs through the discharge of waste chemicals , discharge of Unreliable sewerage etc . It is not the problem of some specific nations, but this problem is being faced by all countries of the world. There are some nations where this problem is at highest level . Following is a list of top ten cities where environmental pollution rate is highest than other cities of the world. below is list of Top ten most polluted cities in the world. Q : Which is the most Polluted City in the world ? Ans : At present Sumgayit is the most polluted city which is located in Azerbaijan.